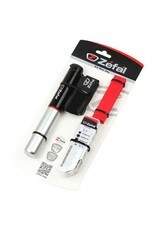 Composed of 3 products, the May Day Universal Repair Kit is the perfect pack for your ride. 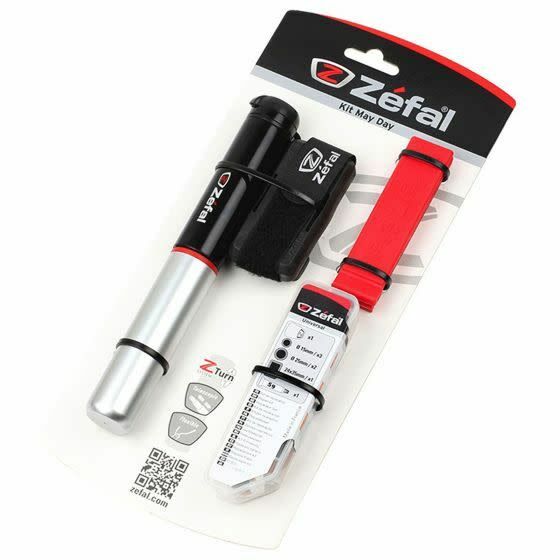 The Air Profil FC01 pump has a telescopic barrel and a flexible, screw-on Z-Turn connection, it’s the essential tool you need to have while riding your bike. The repair kit consists of a selection of patches, 5g of rubber cement and a stainless-steel grater that is efficient on all surfaces and has a long lifetime, helping you to repair your bike easily and safely. Highly resistant and the Z Levers shape provides an easy passage between the rim and tire, without damaging them.